Coming to Napa Valley for the first time? Overwhelmed? Confused? 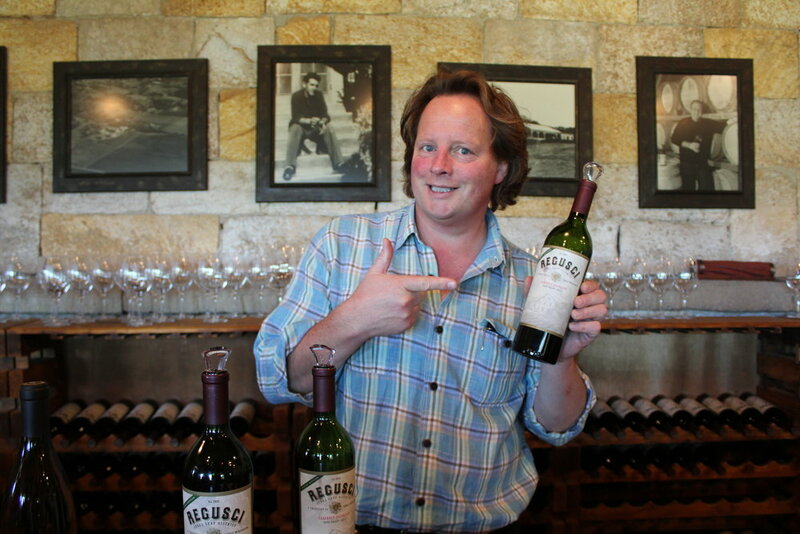 Don't be - just follow my easy Napa Do's and Dont's and you'll be sipping wine like an expert! DO HAVE A PLAN: The days of driving up and down Highway 29 and pulling into any old winery that looks interesting are over. You should have your winery stops mapped out, the first one at 10AM and the last one at 4. Give yourself 45 minutes to an hour at each stop and make sure you google map the distance between wineries so you don't end up driving up and down the valley. DON'T OVERBOOK YOUR DAY: Think you can hit 8 to 10 wineries in a day? Forgetaboutit! Figure 4 to 5 max. You don't want to be rushing from one winery to another. DON'T FORGET YOUR ANNUAL WINE PASS: There's no more free wine tasting in Napa other than Sutter Home - you know, the White Zinfandel folks, enough said on that! Most Napa wineries now charge $25 or more per person, meaning it's very easy to run up a couple hundred bucks in fees per day. That's why I recommend the Priority Wine Pass - it gets you two for one tastings at over 75 wineries, saving you half on your fees. Get it here with my discount - it will be $39.99 but you only need one pass per couple. Here's the ever growing list of wineries who accept the pass - Get the pass and I'll even help you pick out the best wineries for you if you email me with your dates. DO MAKE RESERVATIONS: This is especially true during the busy seasons - Summer and Fall being the busiest. With huge crowds that rival Disneyland, waiting in line at the "come one, come all" wineries can mean long waits. But book a reservation and show up on time and in you go like winery royalty - built in crowd control. DON'T DO LUNCH, DO A PICNIC: Lunch is for suckers. I mean, you're in Napa to taste wine, not waste two hours doing lunch. Instead pack a picnic and make sure your winery stop at noon allows them. That's right, not all wineries allow picnics due to regulations but here's a recently updated list of the ones who do. A little crusty bread, a little cheese, some salami, get your supplies either at Oxbow Public Market in downtown Napa, Oakville Grocery, or Dean & Deluca. And there ain't nothing wrong with just snacking on the go, dropping crumbs in your rental car as you head to the next stop. Don't forget the waters! DON'T DRINK AND DRIVE: There was a time when everyone on the road in Napa probably had a bit too much to drink but don't chance it. Either have a Designated Driver or hire someone to drive your car. Who to hire? Start with my friend Jamie, the gal who owns the Priority Wine Pass company. She's my first pick not because she's my friend but because she knows all the wineries so when you walk in with her they'll treat you like a VIP. Other drivers who have earned the Local Wally Stamp of Approval are found here. DO VISIT THE BOUTIQUE WINERIES: Quick, name some wineries in Napa! I bet you came up with Mondavi, Sterling, Beringer, and maybe Castello di Amorosa, the Napa Castle. Well guess what? Every other first timer came up with the same names meaning these wineries will be packed. But Napa has hundreds of wineries tucked away that offer great wine, friendly hospitality, and a Napa experience that's not unlike what you would have found twenty years ago. Don't believe people on TripAdvisor who claim the boutiques are "second rate" - they don't know what they're talking about. Just remember to make reservations at the boutiques and they are limited by how many people they can serve in a day so Pop In's are not allowed. Redd Wood in Napa (Yountville) makes a fantastic steak! DO MAKE YOUR DINNER RESERVATIONS AT A RESTAURANT NEAR YOUR HOTEL: When you're home and deciding on where to eat dinner it's easy to make the mistake of picking a place that's far from your hotel. After all, you figure, you're only here once so who cares if you need to drive 15 miles? Well trust me, after a day of wine tasting you're going to want a restaurant that's walking distance from your hotel or so close the air conditioner in your car doesn't get cool before you arrive. If you do have your heart set on a restaurant that's far from your hotel, plan out your tasting day to end near your dinner destination. DO MORE THAN TASTE WINE IN NAPA: Don't forget that Napa has more to offer than wine tasting. Some of the popular excursions are the Napa Wine Train, hot air balloon rides, mud baths and spa treatment, and golf. If you plan to do any of these make sure you get the Priority Wine Pass (see above) as you can often get discounts with it. And if you are here for more than a couple of days a side trip to Sonoma is a good getaway and a nice contrast to the more developed Napa area. DO TIP YOUR SERVER: It's not required but Napa etiquette is to toss in a few bucks if your wine server gave you an enjoyable experience. And buy wine if you like it - the wineries main goal is to sell wine so go into each winery assuming you will take home a bottle or two. DO A WINE BLENDING CLASS: If you like wine but have a hard time describing what you like in a wine then splurge on a wine blending class. My favorite is Conn Creek's Blending Experience where you taste 6 cabs grown in different areas of Napa and decide what you like or dislike in each one. From there you carefully add a touch of this or that until you have a perfect bottle suited to your taste. In the end you bottle it up, cork it, and add a label and you'll take home the perfect blend - or is it? Do this with friends and do a blind tasting with you get home to see who made the best wine. It's fun, educational, and you'll gain years of tasting experience in an hour and a half. And yes, you can get a discount with the Priority Wine Pass.